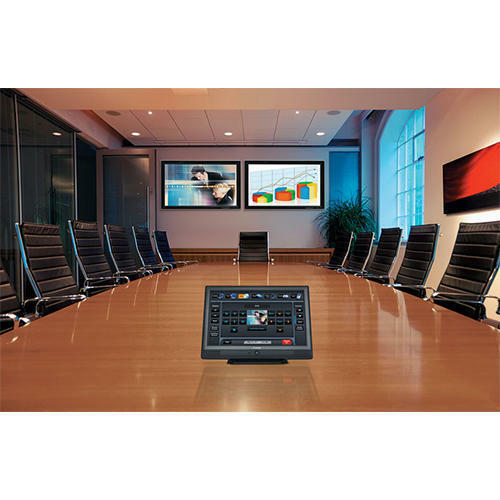 The comprehensive array of Board Room System offered to the clients specifically in the corporate sectors certainly has innate applications. Board room being a key environment in such sectors, we offer extensive range of services that prove highly beneficial and give optimum facilities to the clients. Aware of the fact that such areas require fully specialized and advanced communication systems. Initially started as a partnership company under the name of Aikon Marketing Services in the year 2000 by a team of Electronic & Tele Communication Engineers, AMS established itself in the Telecom industry by rendering services of various big telecom brands in the market. Later in the year 2006, the company became a Private Limited Company and the name was changed to Aikon Telecom Pvt. Ltd. ATPL has been able to attain remarkable success in the field of Telecommunications by providing a comprehensive array of Communication Systems, Office Automation Products, Surveillance Equipments, CCTV's, Time Attendance Systems , Door Access Control Systems, Installation Services and many more. We strictly ensure that these are in compliance with the industry norms. The advanced in-house unit set up by us has proved to be a major asset to this organization. By making optimum utilization of the installed resources, our technicians are able to deliver excellent services to the clients as per their requirements. Besides, owing to their remarkable bonding with the customers and constant interaction, they are able to cater to their demands and thus ensure their maximum satisfaction. Further, before allotting the responsibility to our experts, we see to it that they are well trained and possess appropriate domain knowledge. This way, we avoid any kind of possible complaints from the customers. Apart from it, the clients can avail the services in various different customizations as per their choice. Owing to the above factors, we have been able to sustain cordial relations with our esteemed clients spread across the nation.